Superior Fastening Technology have two manufacturing bases in China the latest being a 15,000 square-metre manufacturing and surface treatment in Huizhou and a new facility in Shanghai sited on 30,000 square metres of land. The new Shanghai facility has a 11,700 square-metre purpose-built main building which is our key manufacturing centre in China. Here, we have more than 200 cold forming and computer controlled precision tools to enable the manufacture of components from the simplest rivets to highly complex multi-stage fasteners. An adjacent building houses electro-plating and heat treatment facilities. All the test, inspection and measuring equipment are located on-site for full quality assurance. With these critical parts of our manufacturing process sited together, the Group is able to respond even faster and more cost effectively as it serves its customers. Our Group serves world-renowned companies such as HP, Johnson Electric, Sanyo, Thomson, Valeo, Magna, TRW and GHSP. Our metal fasteners are therefore used in a wide variety of products including motors, electronic consumer appliances, DVD players, handphones, computers and printers, PDAs and power tools, and auto parts like electrical assemblies in lighting system, audio system, car doors, power windows, shifter knobs, sensors for airbags and air conditioners. Our products are widely used in home appliances and in telecommunication, computing and imaging devices as well as micro products like motors and electrical assemblies. We have customers in Asia, Europe and the Americas and they are typically Contract Manufacturers (CMs) or Electronics Manufacturing Services (EMSs) providers for multinational corporations or Original Equipment Manufacturers (OEMs). The automotive sector is seen to be a key growth area for Superior Fastening and we will be seeking to win more customers from this industry. The Group has adopted Total Quality Management and is ISO9001:2000 certified. 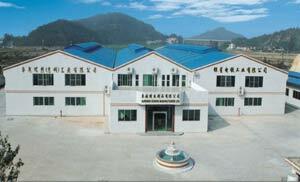 Our Shanghai plant received its TS 16949 certification in 2006, HuiZhou plant received in 2008. While our Huizhou plant received its QC080000 certification. Our products and processes are compliant with international standards such as ANSI, JIS and DIN - the US, Japanese and German standards that help to ensure safety and health of consumers, as well as the protection of the environment.